Starting in Penrith and heading towards Greystoke. 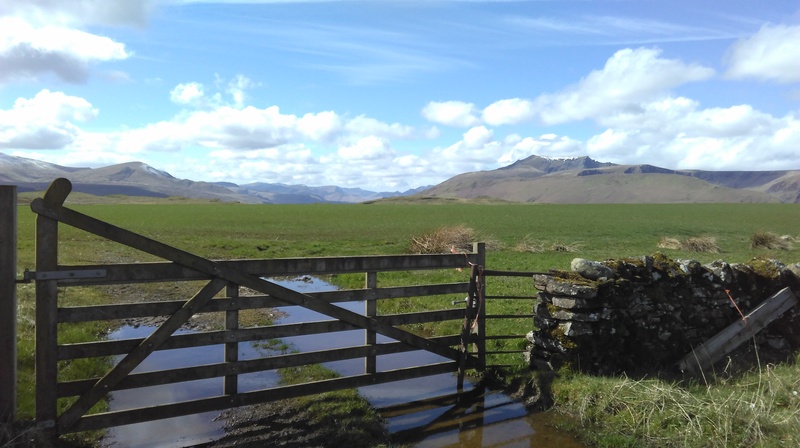 A little detour via Newbiggin takes you on quieter roads with Daffodils on the roadside passing small farms and through the centre of pretty Greystoke passing the pub and heading towards Hutton Roof. Heading up a gentle ascent for a couple of miles with Lakeland fells coming into view. The farming pastures and old stone walls change to open fells, bracken and gorse. Lambs gently feeding in the Spring sunshine. Passing through Hutton Roof and at last the ascending is reached with a long downhill with vista’s of Blencathra, Great Mell fell and towards Catbells and Causey pike in the far distance. A sharp right and signpost to Caldbeck, rolling hills and on through Hesket Newmarket and soon Caldbeck is reached passing the scenic cricket pitch and on to the pub. Oddfellars was bathed in sunshine so a table outside and door stopper sandwiches followed by a cafetiere of good coffee. Back on the saddle and down through Hesket turning for Penrith. A steady climb all the way to Johnby. Look across to the right and the Solway and distant Scottish hills can be seen. It’s down hill most of the way passing Greystoke cycling cafe, ideal for a cup of tea and following the C2C towards Blencow across the bridge with pretty river Peterill gurgling by. Beside the river a bench is there, enjoy the moment and watch for wildlife fluttering by. The last few miles back to Penrith passing through Newton Reigny. 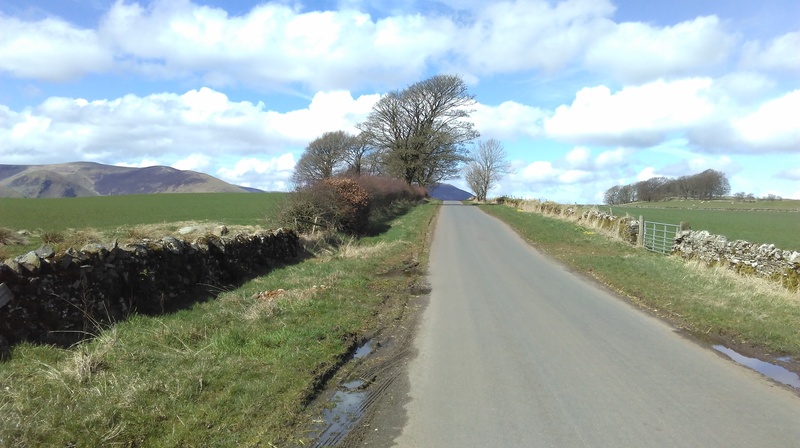 A beautiful ride on quiet roads, stunning Lakeland fells, a glimpse of the Solway and pretty Eden valley. 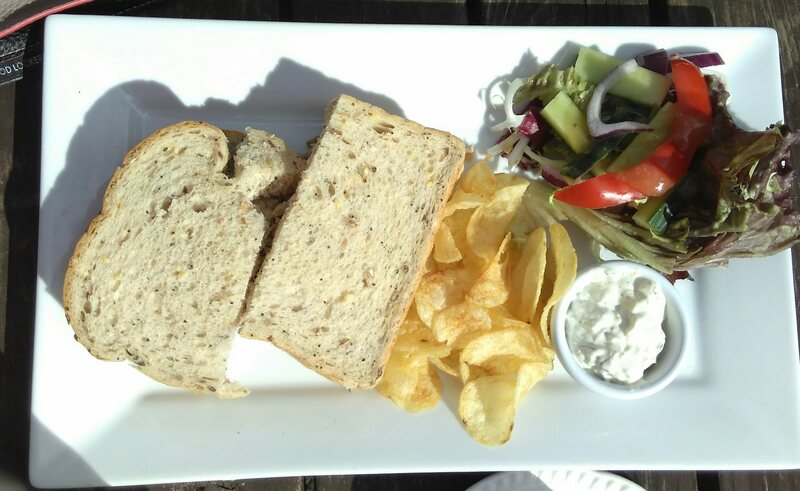 Image | This entry was posted in Cycling Cafes, England, Lake District, Uncategorized and tagged Caldbeck cycling, Greystoke cycling, Greystoke cycling cafe., Oddfellars caldbeck, Penrith cycling. Bookmark the permalink.